The new Squish MTB’s are…well, they’re awesome! 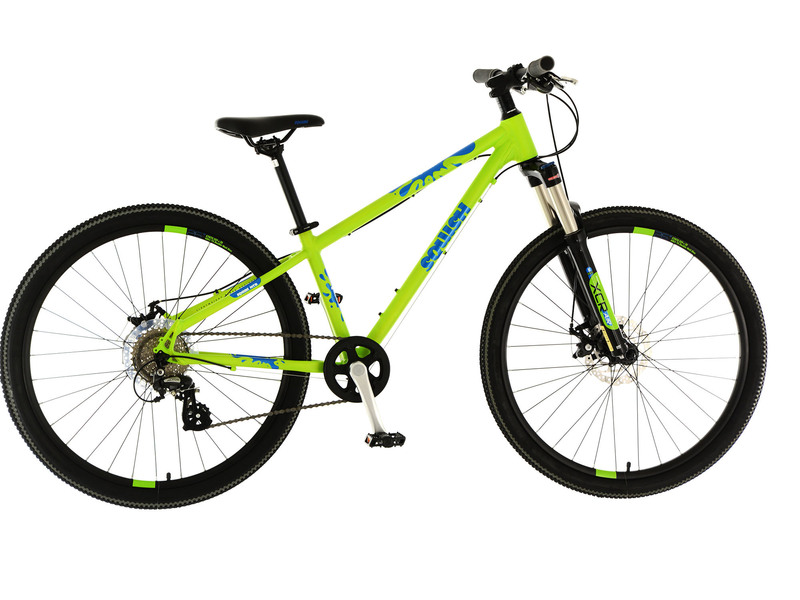 What child wouldn’t want a cool, lightweight, easy to use mountain bike with suspension forks that are not only lightweight and easy to adjust, but that actually work properly! Using our tried and tested Triple Butted Alloy frame, we’ve added extra strength where needed to ensure it can ride through the bumps with ease. Coupled perfectly with that is the premium lightweight Air suspension forks from SR Suntour. As your child grows/gets heavier, you can add extra air pressure to the forks to offer more resistance over bumps. Likewise, if your child is a lightweight racer (like our bikes!) you can let some air out the fork to ensure they get maximum movement! Really simple! Everything else is as you’d expect from Squish; great quality, reliable and easy to use. That goes for the 8 speed Shimano Altus gearing with rapidfire shifters, poweful Tektro mechanical disc brakes front and rear, strong double wall alloy rims with Shimano hubs and our fantastic, multi-terrain tyres that roll quickly over woodland trails and beyond….we also added a grey stripe around the edges of the tyre to help them stand out even more. All this, wrapped up in a package weighing just 12.5kg, and at a price that blows the competition out the water!